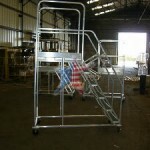 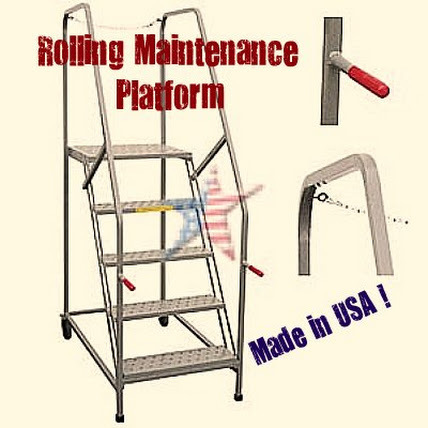 Our MOBILE ROLLING MAINTENANCE PLATFORM actually is a strong tilt and rolling ladder. 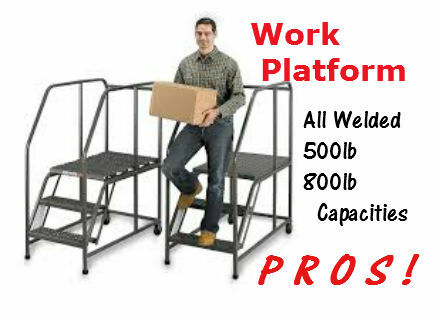 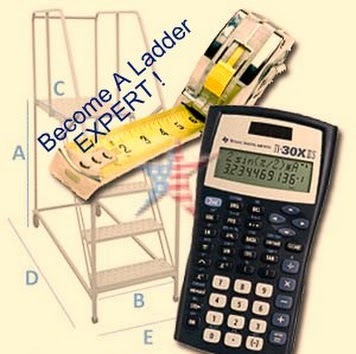 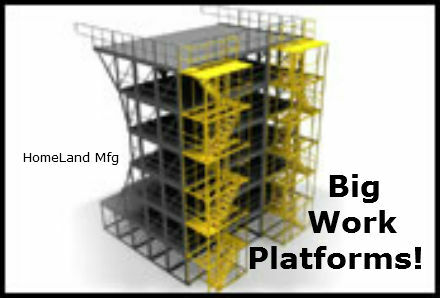 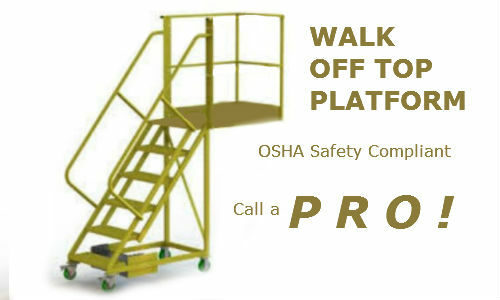 It is designed as a quick response ladder when a large platform isn't necessary. 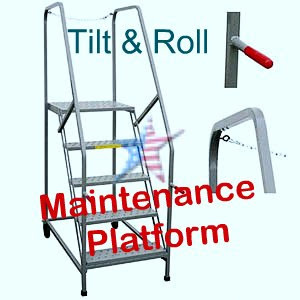 The top railing is fortified to allow a removable safety chain for workers to climb to other areas and is often used as a truck trailer access ladder. 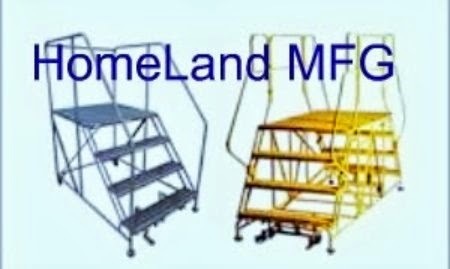 We can Galvanize these.